Xiaomi Redmi 3S Prime is quick to respond, easy to use, and an all round entertainer. 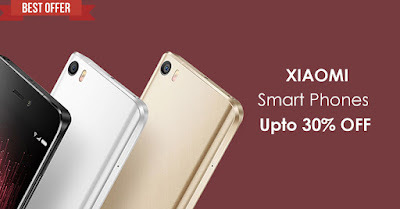 This Xiaomi dual SIM mobile has a 13MP camera with a sharp 5 piece lens.The Xiaomi Redmi 3S Prime smartphone gives tough competition to its contemporaries with its super sleek performance. It is incorporated with a Qualcomm Snapdragon 430 processor that has four performance cores for superior, lag free operations, and four power saving cores for incredible power saving capabilities. You can store all your favorite content on its 32GB ROM. This mobile comes preinstalled with top games such as Asphalt 8, Modern Combat, and Plants vs. Zombies. You can enjoy all these and much more without plugging it into a charger every few hours. This phone is equipped with a super powerful 4100mAh battery that works not for hours or a day but two days straight on a single charge. This mobile unlocks in split seconds with its highly responsive and secure fingerprint sensor. Its smooth and slim metal body dressed in a beautiful design and gray finish keeps you mesmerized even when you are not using it. AT THE TOP OF THE GAME, ALWAYS! Use the Xiaomi Redmi 3S Prime to ease your everyday life. It uses Snapdragon 430 Octa Core processor coupled with a 3GB RAM to give you supremely fast and glitch free operations. Also, it is very easy to interact with and customize as per your needs due to its preloaded Android Marshmallow 6.0 OS. This operating system has many handy features of its own that contribute to making this device a delight to use. Enjoy marvelous two days of uninterrupted, unplugged usage time on the go with the help of its 4100mAh battery. This Xiaomi Redmi smartphone has a 5inch screen that displays content with rich details, colors, sharpness, and brightness. It showcases the content at a resolution of 1280 x 720 pixels. You can also adjust and change the color temperature of the pictures. You can use this device as an ebook reader to read books and articles you love without experiencing eye strain due to its Reading Mode. The Xiaomi dual SIM mobile promises surprising results when it comes to clicking pictures. It is equipped with a 13MP rear camera with a 5 piece lens, f/2.0 aperture, Ultrafast 0.1s PDAF technology, HDR, Panorama, and Straighten. Derive satisfaction out of its one shot flawless clicks. You can capture the scene before you as it is or add some drama with its 12 real time filters. Not just stills, but videos recorded with this camera turn out clear, sharp, and distortion free. Face the camera with its 5MP front sensor and capture perfect, lifelike portraits. It has 36 smart beauty profiles to let you remove flaws from your self portraits. Like the rear camera, it also records stunningly crisp and vibrant 1080p Full HD videos.